- A slightly obscure Swiss traditional melodic Metal band. 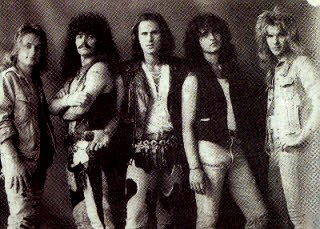 FORSALE are noted for being an early stop for vocalist Steve Lee (originally a drummer), who would involve himself in the formation of the more impressive GOTTHARD a few years later. 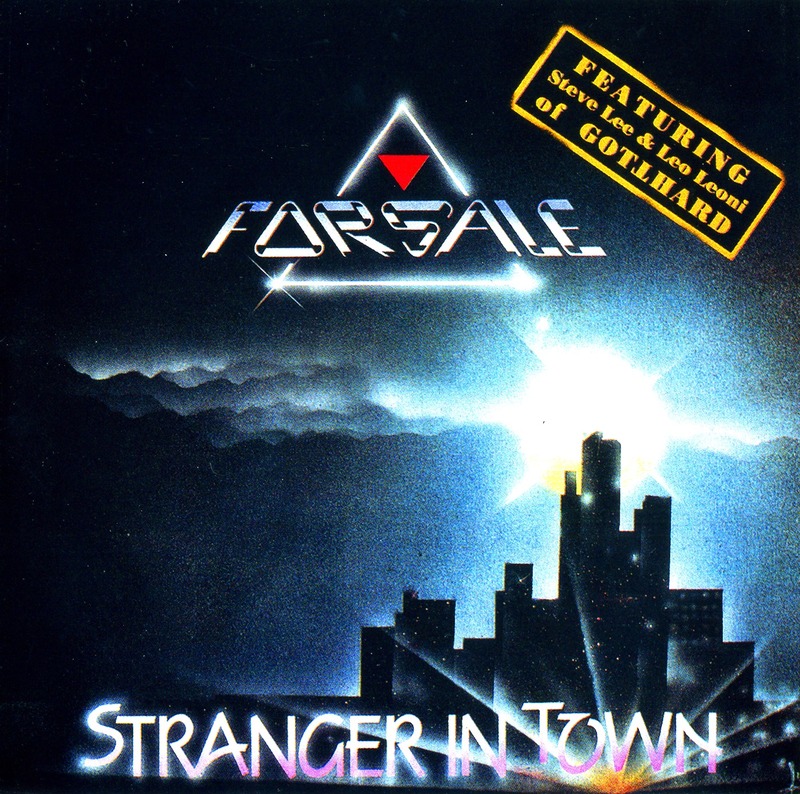 The 1988 album, 'Stranger In Town', also features an appearance from guitarist Leo Leoni, although he is only credited as an additional musician. Leoni would also play a key part in the success of GOTTHARD. - This album has only recently come out of the woodwork for me in the last few days. I have had this for years, on tape and now as a fileshare. Trying to obtain a CD of this is nigh on impossible, along with a couple of other albums I am trying to buy on Ebay - seems I am always getting outbid at the eleventh hour. 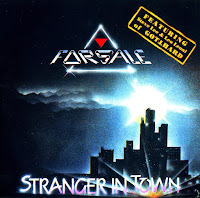 Back in 1988, this Swiss based outfit landed a deal to release 'Stranger In Town' on vinyl and the newer CD format. Unfortunately, Forsale didn't live up to their band name, as buyers couldn't find a copy of this for love nor money. It wasn't until 1997 that 'Stranger In Town' was re-released, and is now easier to come by (supposedly), though I haven't had any luck. As you can see by the band lineup, two members of Gotthard; namely singer Steve Lee and guitarist Leo Leoni appear on this album. Leoni more as a guest, Lee sings on all tracks. Musically, this is absolutely nothing like Gotthard. There are other Swiss bands that make for better comparisons. Try Purple Heart, Subway and Ultranite, though to be fair, Forsale have a more organic sound about them, with nods to Lucifers Friend, Deep Purple and Uriah Heep all seeping through at one point or another. A keyboard mosaic is what you would call the intro 'Witch Hunt'. Obviously a showcase for keyboardist Neil Otupacca, this one lays the Forsale foundation - with a load of church organ and percussive effects. Then we are into it with the title track 'Stranger In Town'. Nice middle ground AOR, with excellent keys and the golden throat of Steve Lee laying down his class from the start. Pumping keyboards set the dial on 'Carry On', for AORsters this stuff is like oxygen! One of my fave tracks is the power ballad 'Only Love', the track swimming in atmospherics and reverb. Again, the keyboards lead the way, with guitars coming in where required. 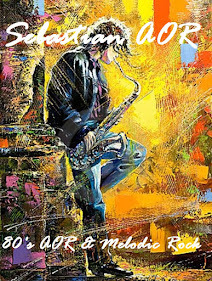 'No Time No Chance' is a very 80's AOR with an American indie flavour to it. Think of bands like Magnum (the American version) and Limousine.. this is what this sounds like. 'Rollin' On' sees Forsale jumping onto the Lucifers Friend/Uriah Heep bandwagon. The organ work is copy-cat stuff to a tee, while the energy of the track is full-on and relentless. Keeping the momentum going (more or less segueing into this next track) is 'Run For Your Life'. The style is similar to the previous track, with a fast tempo and more classic organ work to the fore. Check out the huge keyboard parps on 'Night Spell', obviously some big fat patch from the Roland D-series of synths by the sounds of things! 'Call My Name' leading off with an intro of bass harmonics, is an acoustic flavoured ballad. Lee's superior vocals prop this track with ease. Returning to the 'Lucifers Heep' reference points is the rollicking 'Fallin' Down', while the closer 'So Long' is indeed a farewell of sorts. Starting off as a ballad, the band venture into the AOR departure lounge by songs end, at least leaving us with an upbeat surge upon exit.